OTTAWA -- Canada has slipped six places to 55th spot on an annual list of global freedom-of-information rankings, and is now tied with Bulgaria and Uruguay. It is tremendous that Afghanistan has passed such "an incredibly strong" right-to-information law, said Toby Mendel, executive director of the non-profit Centre for Law and Democracy. "Although implementation is always a challenge, this law will at least give the country the tools it needs to ensure its citizens can access information from public authorities." 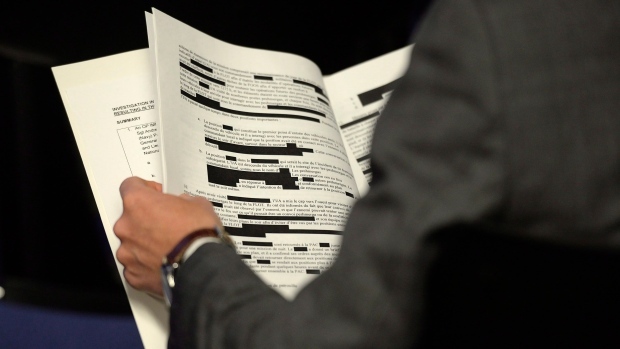 The compilers of the list say they hope Canada's "poor showing" will be a wake-up call that spurs Ottawa to improve the federal Access to Information Act, which hasn't been significantly updated since its inception in 1983. The global rankings are based on elements including a law's general right of access, scope, requesting procedures, exceptions and refusals, and appeal process. 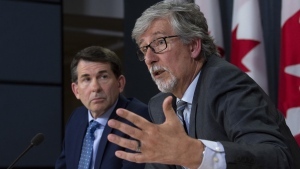 Canada's lax timelines, imposition of access fees, lack of a proper public-interest override, and blanket exemptions for certain political offices all contravene international standards for the right of access, says the report published Friday. "Canada's antiquated approach to access to information is also the result of a lack of political will to improve the situation." The Liberal government introduced legislation last year to help modernize the federal law. The bill, currently before the Senate, would give the information commissioner -- an ombudsman for users -- new authority to order the release of records as well as entrench the practice of routinely releasing documents such as briefing notes and expense reports. But many who testified at a House of Commons committee dismissed the legislation as a step backward. In an analysis of the proposed changes last year, the Centre for Law and Democracy said the measures would give Canada only a modest boost in the global rankings. It said the bill does nothing to narrow or close exceptions in the law that allow federal agencies to withhold information from release. The bill also backpedals on a campaign promise to fully apply the Access to Information Act to ministerial offices. During a public question-and-answer session Friday, part of Right to Know week, information commissioner Caroline Maynard said she plans to flag problematic elements of the bill to the Senate committee studying the legislation. She's concerned about a provision that would allow an agency to decline to handle a request -- with approval from the commissioner -- because it is deemed to be too vague or frivolous. "We have concern that this will be limiting some access, and it's not necessary," she said. Maynard suggested any such difficulties can be remedied by an existing provision in the law that requires agencies to assist requesters with their applications. The commissioner also outlined some insights into how she plans to clear a backlog of 3,500 complaints that have piled up from dissatisfied requesters over the years.